One’s health is of the utmost importance. And feeling healthy is feeling beautiful. For our Clients in the health and beauty profession, their interior design must manifest the quality of their professional offerings. Whether it’s elective or compulsory, a patient needs to feel they are in an environment that is not cold and sterile. Psychologically, patients have anxiety towards the majority of procedures – small or large – and with the industry becoming more competitive for patients, your design needs to align your exemplary reputation. As the adage says, you don’t have a second chance to make a first impression. 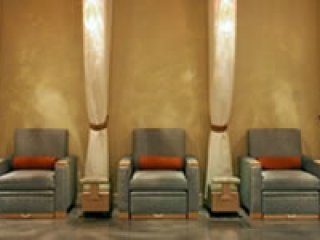 ARCH-INTERIORS’ health and beauty Clients are comprised of Med Spas, Dentists, Dermatologists, Plastic Surgeons, Cancer Doctors, Orthodontists, Ear Nose and Throat Doctors, General Practitioners, Surgery Centers, Fitness Centers, Salons, and entire Medical Buildings and Facilities. ARCH-INTERIORS Design Group, Inc. is experienced in making a space the Client feels represents them, their staff, and that patients love too. 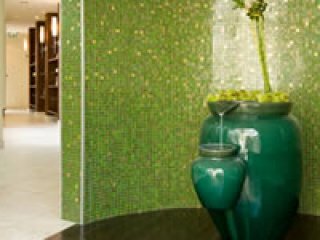 Our design team pulls from our proficiency in commercial, residential, hospitality and retail design to use unique materials and make interiors function efficiently and exhibit a unique personality for spaces that can be spa-like, residential, colorfully playful or sophisticated and elegant. We accomplish this through the use of textures, unique materials, lighting, colors, special finishes and wonderful design detailing to create a one-of-a kind space. 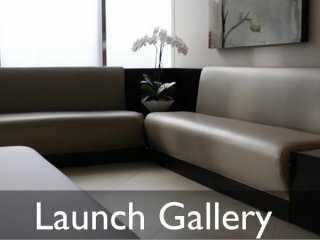 ARCH-INTERIORS offers full “turn-key” design services, which is unique in the health and beauty design field because of the myriad of services available to our clients. Upon completion of the concepts, we then produce full sets of construction drawings and project details and expedite the project all the way through City permitting. ARCH-INTERIORS coordinates with lighting, data, audio/visual, medical or dental equipment suppliers, building management, leasing agents and any other relevant consultants needed on the project. The firm’s superior project management skills ensure supervision with the utmost attention to detail to minimize potential problems.